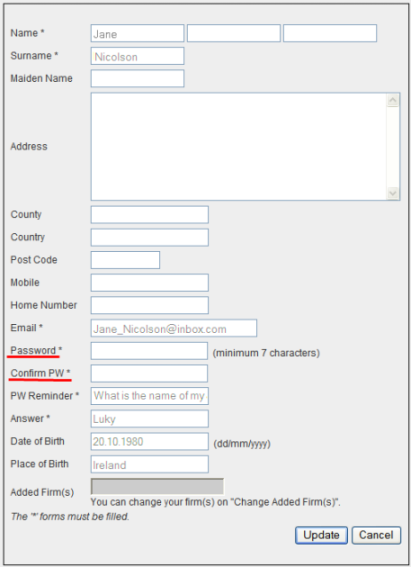 Fill out empty fields or change any personal details (the fields are marked with an asterisk [*] must be filled out). Note! Enter your current password and confirm the password in the fields (marked with the red colour in the picture above) to make changes. Click to return to step 4.